Uglyworld #2050 - Alcofulls Beer - (Project Cinko Time - Image 252-365), a photo by www.bazpics.com on Flickr. Hellos there everyone, as you can sees I has a bottler of beers besiders me, but don't be foolereds, this is no ordinaries bottler of beer, oh noes, nots at alls! 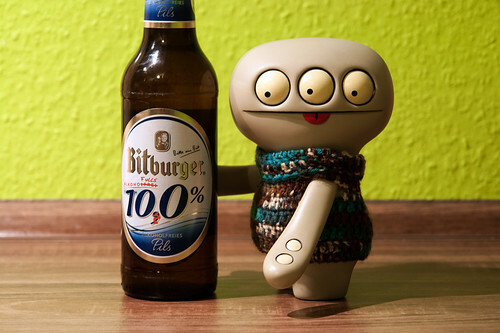 My gooders buddy Babo scorereds me this bottler of alcofulls beer, as he knows that this is my seconds last days of my holimadays and says that I should has a blowers out to celemabraters it, and what betters way than withs a fulls power bottler of beer. I can't remembers the lasts timer I hads a beer, so I thinks that means I can goes a littlers bit mentaller tonights!